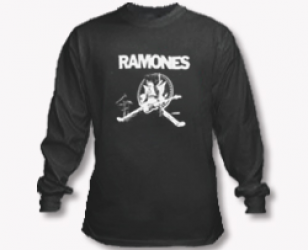 Long sleeve tee with centered image of Ramones band member in concertperformance rocking on guitar sliding down with legs apart. 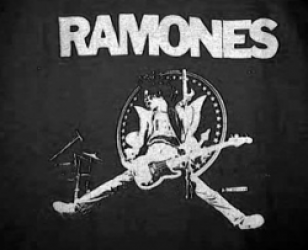 Background haspartly hidden presidential logo with few concert instruments. Block letter bandname texts above.